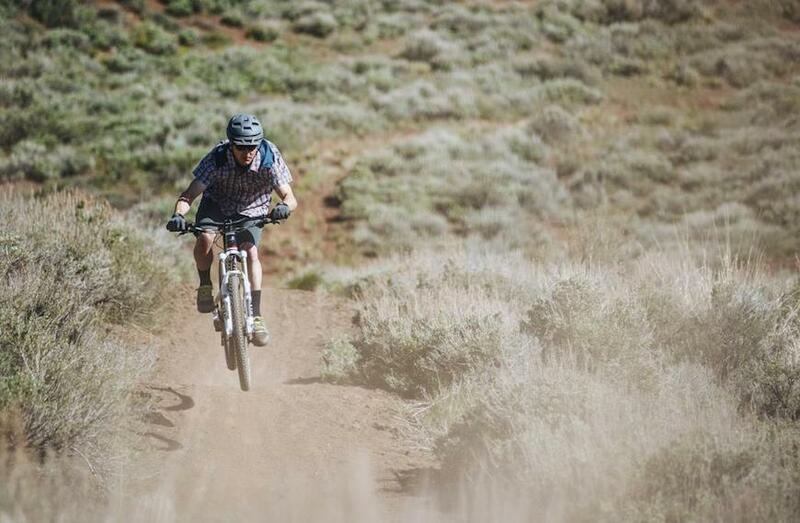 With sunny skies and vacation days, summer is a great time to start riding. But riding when the mercury climbs can be tricky, especially if you’re not used to training in the heat. Whether you’re a seasoned pro or a total newcomer to cycling, there are a few things to keep in mind when the temperatures start to soar during the summer, and we’ve got some tips to make your ride fun—and safe. 1. Train early, or train late. In some ultra-hot areas, like Tucson, Arizona, temperatures can average 100 degrees most days. In those cases, it’s smart to train early before the sun is at its peak, or train late when it’s starting to set. Just make sure you have the proper safety lights if you’re training in the dark. 2. Wear sunscreen, apply often. Make sure that you find a waterproof sunscreen, since you’ll likely be sweating quite a bit on the bike. Slather it on places like the back of your neck—it’s not typically exposed when you’re standing up, but when you’re in riding position, it’s begging for a sunburn. It sounds counter-intuitive, but some athletes swear by sun-reflective arm warmers to keep them from burning, and to keep cooler by reflecting the sun’s rays. The biggest areas exposed are the back of the neck, the nose and your arms. As much as it is hard to be covered up, there are a lot of cool technical fabrics now that are close to wearing nothing. Consider trying a casual jersey from Club Ride. They’re loose fitting and lightweight, with quick-drying fabric and UV Protection. 4. Ride off-road in the shade. If possible, try to aim for routes with the most shade. If mountain biking will put you in the woods while riding the road is all exposed, maybe hopping on some fat tires is a good call this summer. But remember, once you’re cruising down a nice fast and flat road, you will feel a lot cooler from the wind. Just be wary of the exposure. Even if you’re not a big fan of sports drinks, make sure you’re drinking enough water on hot rides, and that you’re taking in enough electrolytes with the water. If a calorie-dense sports drink isn’t appealing or the ride is short, mix it up with some electrolyte mix like Nuun or Skratch Labs’ Daily Mix—all of the electrolytes you need, without the calories in standard sports drinks. Consider getting polar bottles to keep water cool, or start with ice in your bottle. This can keep your body temperature cooler for longer, ultimately decreasing heat-related stress. And make sure you’re drinking around 16 to 20 ounces per hour. Standing on the side of the sweltering road to wave down a car because you forgot your pump and got a flat is the worst. Always have a multitool, patch kit, spare tube and pump or CO2s. If you’re new to cycling or to training in warmer temperatures, take it slow in the heat. Start with shorter rides, and don’t jump straight into sprint intervals. Let your body adapt to the heat first, then gradually add volume or intensity. 8. Bonus Tip: Lots of cool research (pun intended) is coming out on benefits of heat training, so take advantage of it this summer! Be sure to plan for gradual exposure.